2bm provides a modern, energy efficient data centre which is simple to operate and requires minimal skilled labour once operational. The Medical Research Council Unit The Gambia at the London School of Hygiene & Tropical Medicine (MRCG at LSHTM) is one of two research units established in sub- Saharan Africa by the Medical Research Council UK, representing a unique concentration of scientific expertise with the aim to save lives and improve health across the world. One of the goals of the MRCG at LSHTM, as highlighted in their mission statement is the ‘delivery of innovative, word-leading research aimed at reducing the burden of illness and death in low and middle income countries, supported by an enabling research environment’. 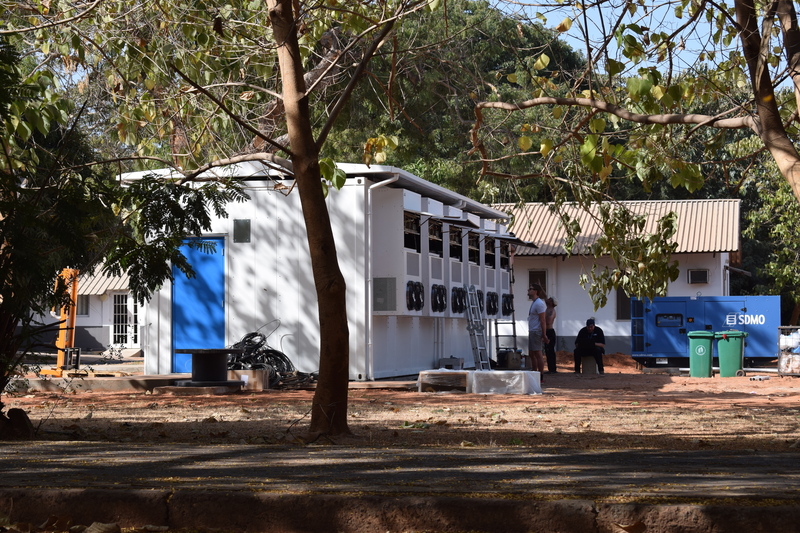 2bm kick-started the year with a special delivery, completing the installation of one of the most efficient and resilient portable modular data centres (PMDC) in West Africa. The PMDC was designed and built in the UK by 2bm then shipped for final installation to The Gambia site. Extra storage and processing power was required to increase resiliency and uptime as well as improve energy efficiency. Building upon 2bm’s in-depth knowledge and design capabilities of modular and containerised data centres, MRCG at LSHTM were looking for a repeat of the successful build undertaken by 2bm at MRC Harwell (UK). The current facility was overdue for an upgrade and with upcoming server changes and higher compute power requirements looming, a new facility was essential. › Tropical climate differences during the dry season – high temperatures and high humidity. › Shipping schedules and availability. › Transportation of non standard sized data centre container to the African continent, offloading and positioning from the port (15 miles) over incomplete highways, with load restrictions, obstructions and adverse traffic conditions. This contract has given the 2bm team enormous satisfaction because it will directly help people in a country seeking to improve the health and well-being of it’s growing population. › An innovative N+1 cooling approach which could be contained within a single structure. › A dedicated project manager to oversee design through to commissioning. › Strong communication with the local team in The Gambia. › Fully designed solution prior to any build work with detailed sign off process which included in depth presentations at each stage. 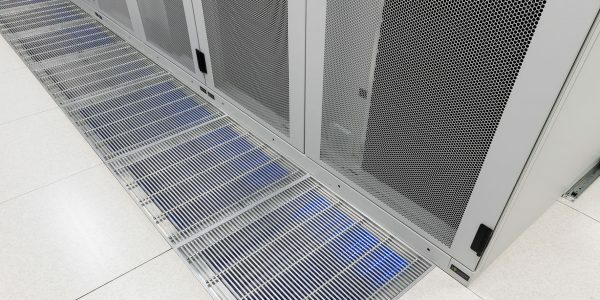 › Space utilisation – 80kW of available power and cooling into a 40ft containerised data centre environment with associated fire detection, suppression, network communication infrastructure. › Free cooling/low PUE facility in a harsh environment at the equator. › A plug and play containerised data centre, pre-configured to provide minimal assembly and fast start up once in position (ten days of on site commissioning required). After the 2bm team had arrived in The Gambia, it took less than ten days to complete delivery, start-up, commissioning and full Integrated systems testing. The entire project was completed at the agreed duration of twelve weeks, which was from the initial design concept through to the construction and delivery. 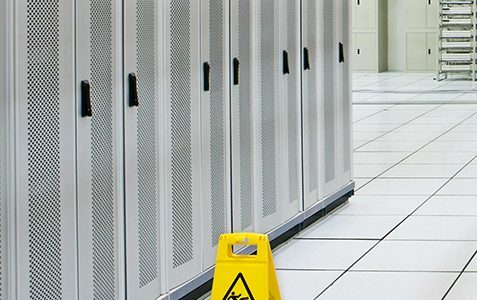 “2bm staff showed great professionalism, conduct and understanding of all components of a data centre and implemented this project taking into consideration our unique environmental factors with great energy efficiency and automated environmental monitoring system.